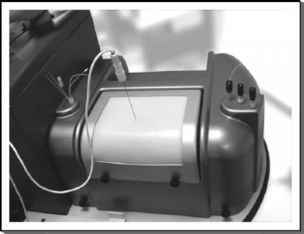 Mock-ups or real instrumentation such as a blunt "needle" as in the PercMentor by Simbionix,d or a retrofitted resectoscope/foot pedal as in the case for the UW transurethral resection of the prostate simulator can be fabricated for a simulator (Figs. 7 and 8). Every application will call for different instrumentation requirements. Often the instruments need to be properly fitted with tracking devices, which track the relative components in space with respect to the virtual patient. Because these tracking devices are sometimes large and have connecting wires, it can be challenging to integrate them with a medical instrument without significantly changing the look and feel of the instrument. FIGURE 5 ■ (A) Model of the urethra, prostate, and bladder rendered without lighting. (B) Model of the urethra, prostate, and bladder rendered with lighting. (C) Model of the urethra, prostate, and bladder rendered with lighting and a texture map. Source: From Ref. 33. FIGURE6 ■ Video texture maps created in vitro for the UW TURP simulator. Source: From Ref. 30. FIGURE 7 ■ UW TURP simulator with ACMI 27French resectoscope. 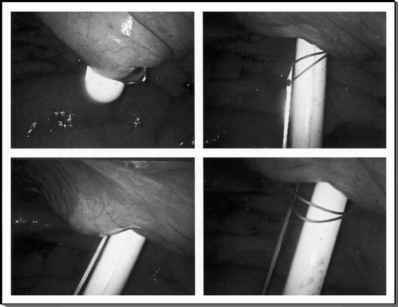 FIGURE8 ■ Blunt needle for percutaneous access. Polyhemus tracking devices located on the Iglesias working element and within an empty camera "shell" in this case provide for tracking.